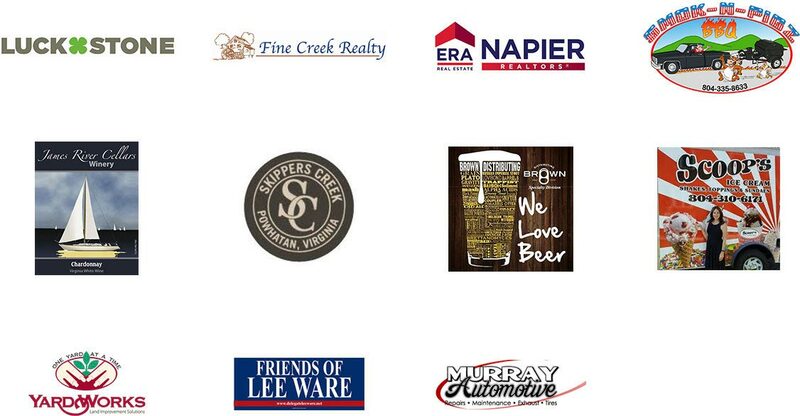 James River Winery and Skippers Creek provide the wine and Brown’s Distributing provides local craft beers. Smokn Pigz is a full service food truck and ice cream is provided by Scoops Ice Cream. great prizes offered by our sponsors. Gates open at 7pm. Bring your lawn chair and friends!